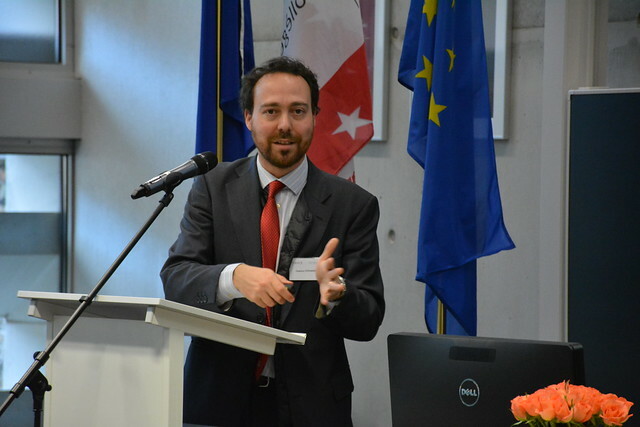 On 24 February 2017, the Department of European Political and Administrative Studies held its annual Political Economy Conference, under the guidance of Professor Michele CHANG. After the global financial crisis threatened the breakdown of the international financial system, the euro area came under threat. The countries collectively referred to as the PIGS (Portugal, Ireland, Greece, and Spain) suffered from severe market pressure that resulted in bailout programmes financed by the euro area, EU member states, and the IMF that were accompanied by strict conditionality. The objective of this conference is to investigate how countries have fared politically and economically after embarking on their adjustment programme. For countries that have exited their programme, were their respective exits timely or premature? Had the conditionality programmes contributed to long-term sustainability and provided the necessary foundation for future economic growth? Have the respective governments followed policies that are broadly consistent with those advocated by these conditionality programmes? What about the popular backlash against the austerity that accompanied them? Finally, what is the broader political legacy of the bailout programmes? To answer these questions, Prof. CHANG gathered both representatives of EU institutions and academics. Istvan Pal SZEKELY, Director, DG ECFIN, European Commission and Honorary Professor and faculty member at Corvinus University, Budapest, gave the keynote address, followed by the first panel, chaired by Michele CHANG, in which Daniel DACO from the European Commission, Gabriel GLÖCKLER from the European Central Bank and Silvia MERLER from Bruegel discussed the conditionality of the adjustment programmes and its aftermath from an institutional perspective. The second panel, which brought together Kevin CARDIFF from the European Court of Auditors, Federico STEINBERG from the Real Institute Elcano, Francisco TORRES from the London School of Economics and Georges PAGOULATOS from Athens University of Economics and Business, and was chaired by Eric DE SOUZA from the College of Europe, took on the national perspective, detailing the making of, implementation and aftermaths of the adjustment programmes in each country.